Scars are not imperfections. They are fascinating survival stories waiting to be told! It all started with words from my doctor that I never expected to hear. I wish I could properly describe what happened in that moment. Everything around me got incredibly quiet and seemed to move very slowly. I could hear the doctor continuing to talk, but I couldn’t make out his words. I could feel words trying to form in my mouth, but I had no energy to actually speak. I knew I should probably cry, but no tears seemed available. It’s scary when doctors shock you with test results, and you don’t know what the future holds. Maybe you can relate in your own unexpected diagnosis. And whether you’ve been on this journey for five days or five years, I’d love to share some life-changing ideas I’ve learned along the way that have truly helped me in one of the most challenging seasons of my life. You don’t attach the word “cancer” to someone’s medical chart without unleashing restless tears and fears that have to be put in their place. Remember, feelings are indicators, not dictators. Your feelings indicate there are important things to process. But they don’t have to dictate your perspective or taint your outlook on life. One of my mantras during this process has been “I never wanted this to be my story. But now that it is, I’m going to make it a great one.” How you view your journey on the front end will determine so much about your recovery on the back end. 2. Tell yourself the right story. Cancer is affecting some cells in your body, but only you decide if it has access to your thoughts and your heart. We’re all living out a story, but then there’s the story we tell ourselves. It’s easy to see this diagnosis as an end to the life you’ve known and loved. But, despite your circumstances, you get to choose how this story goes from here. I remember seeing a sign in one of my doctors' offices that said, “The day you were diagnosed, you became a survivor.” Even if I can’t choose my circumstances, I get to choose my story. And since I can’t hold up the banners of victory and victim at the same time … my battle cry is VICTORY! 3. Get your team in place. As you head into this battle adventure, remember these two phrases: Don’t isolate. Don’t hesitate. This isn’t a journey to take alone, so don’t hesitate to ask for help. Surround yourself with people who will really be there for you and who are willing to help meet practical needs. Ask fellow survivors who have been through your same treatment plan to shoot straight with you about what to expect so you don’t get caught off guard. Allow others the blessing of doing something; people will feel helpless until you let them do something practical for you. Designate a point person who can navigate those offering to help. Give the point person a list of tasks people can do for you. She can speak on your behalf and speak frankly about what is and is not helpful. Type out general thank-you notes to have ready to go, so you can sign them before surgery and then your point person can send them out for you as needed. 4. Focus on what you know. A cancer diagnosis comes with a lot of unknowns—unknowns that can stir up panic. Instead of focusing on all of the things you don’t know, focus on what you do know. I do know I live in a day and age where medical help is available. I do know I have family and friends who love me. I do know I’m alive today and I’ve got good things to contribute to the world. I do know God’s love for me is unwavering, even if I don’t understand this part of my life. I do know where my beauty comes from, and no cancer or scalpel or radiation or chemo can touch that sacred place within me. I do know I’m strong, I’m a fighter, and my life is worth fighting for. 5. Anchor your hope in truth. I must anchor my hope in something that is certain. I can’t anchor my hope in all the things and people around me that can change in an instant. Truth from the Bible is unchanging, so that’s where I’ve chosen to tie my hope. There are three filters of truth through which I process all life events: God is good. God is good to me. God is good at being God. This is my starting place when looking at circumstances both wonderful and hurtful. These truths help me consider good things God might be doing, even with realities that don't feel at all good. They bring me back to the goodness of God as the starting place for my continued trust in Him. These truths help settle my runaway fears and chaotic emotions. Make the choice to keep positioning yourself where solid truth can be found. Go to church. Spend time with people who share your same beliefs. Memorize Bible verses. And keep talking to God. None of this will change your diagnosis, but it will elevate your perspective. A key to survival is to stay on top of this, so it doesn’t sit on top of you. Before changes to your body occur due to surgery or other treatment options, make a point to celebrate what has been your body up until now. Then have another marked moment when you decide to recalibrate your thinking and embrace the new normal that’s coming. I chose a reconstructive surgeon with an incredible attitude who told me exactly where my scars would be, and together we decided I would look better than ever after surgery. He cared about what I cared about. And though I had some complications that made my outcome different than what I expected, I embraced even these differences as beautiful enhancements. I am unique. And unique is gorgeous. Scars are not imperfections. They are fascinating survival stories waiting to be told! Though the details of our stories and treatment plans might be different, please know I understand the depth of your pain and desperation. But I really believe we will rise with an unexpected strength on the other side of this … more beautiful than ever before. 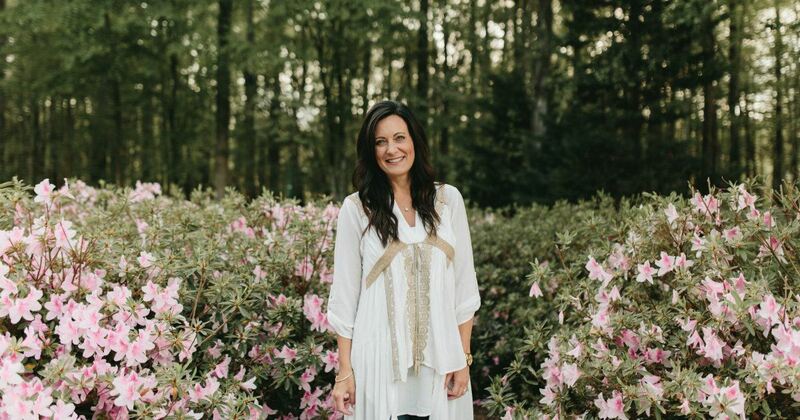 Lysa TerKeurst is a breast cancer survivor, a New York Times bestselling author, and the president of Proverbs 31 Ministries. 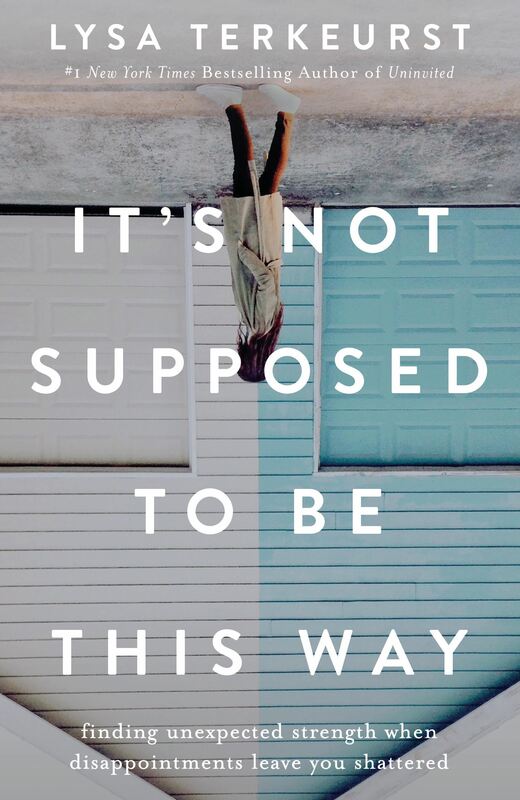 Her new book, It’s Not Supposed to Be This Way: Finding Unexpected Strength When Disappointments Leave You Shattered, releases November 13, 2018.